Harvesting your marijuana is the crucial point in your season. It improves, or ruins, all the weeks of work you and your hydroponics marijuana plants have done. How you harvest and when you harvest are key factors in the value of your hydroponics marijuana crop. 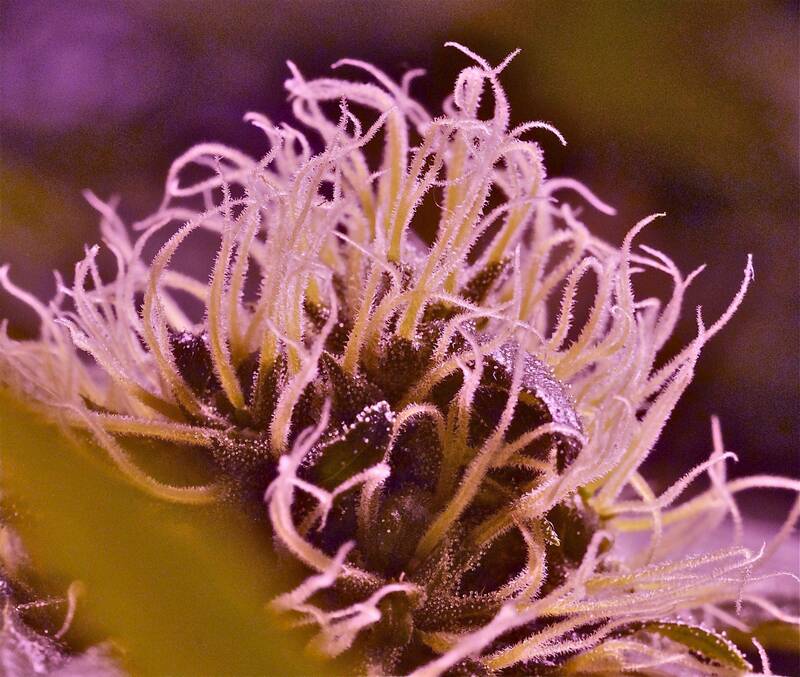 In our previous article on marijuana harvesting, drying and curing, we saw that monitoring your resin glands is the single best way to know when your crops are ready to harvest. We also talked about an incremental harvesting technique (IHT) that gives you the power to greatly increase the fun you get from each crop. IHT starts when your plants are 70% through bloom phase. You cut a couple of buds every 3-7 days. You dry them properly and then sample them to see how the high works for you. You’ll discover that the high changes as the crop ages. When 20% or more of your resin gland heads are clouding up, or falling off their stalks, you’re ready for your final harvest. The cool thing is that IHT gives you a “bud history” to smoke and analyze so you find just the right time to harvest your crops to get the high you most want. 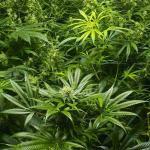 You’ve noticed with some marijuana strains in bloom phase you get big bursts of aroma. Like, when you’re watering or when the lights just go on. I’ve noticed that when the lights are on for a while, the aroma fades away, but the strains I’ve grown seem to love putting out aroma during dark cycle. I love opening my grow room door at night (making sure no other lights are on to pollute the darkness) and inhaling the sweet scent my flowers exude. It’s like a beautiful girl with expensive perfume, on a first date. Turns out that some marijuana gurus believe that during the night cycle your plants are likely producing THC and other cannabinoids, free of the potentially degrading effects of bright light and heat they experience during lights-on. They also believe that because photosynthesis and related light-driven metabolism is all but shut off during dark cycle, your buds contain less chlorophyll, sugars and nutrient salts than they do during day cycle. Those substances are partly responsible for why marijuana tastes bad and makes you cough, especially if you don’t flush, dry and cure properly. So the general consensus is it’s best to harvest just after your lights turn on. Will it make a huge difference in your THC percentage? Probably no more than a half percent, at best. Will it make a difference in the taste and aroma of your crop? In my experience, it does. My crops harvested at the end of dark cycle have more pleasurable taste and aroma than the same crops harvested at the end of lights-on cycle. Of course, some people will tell you it doesn’t matter what time of day you harvest, as long as you harvest when your resin glands are at the level of development that most suits you. I have a lot more marijuana harvesting tips- we’ll get to them in the next articles in this series. Here’s one hydroponics marijuana harvesting tip I can do in just a few words: when your plants are in bloom phase with resin glands on their flowers, when you’re harvesting them, and when you’re handling them after harvest- treat the resin glands like fragile eggs. If you brush against, squeeze, drop, crush, overheat, or otherwise rupture your resin glands, the resins degrade into something that gets you less high. Until next article, happy growing, happy medicating.